For those of you who aren’t familiar with toddler breath-holding spells, please read my post here to understand what I’m talking about. I’ve recently started to reach out to a few local childcare places, both for the sake of Little One’s socialization and also for a bit of a break for me, only to be faced with the same response: we’ve never heard of that. I’ve spoken to 3 different organizations, all of which have years of experience with children, and so far none of them have given me enough of a feeling of confidence so I feel comfortable sending my Little One into their care. The frustrating part of this is that all of the doctors we’ve seen (pediatrician, neurologist, cardiologist) have said the same thing: that sounds like a classic case of breath-holding. Apparently it’s CLASSIC to doctors, but not to any childcare providers around here! One place we toured said they would have to speak to their medical advisor to figure out what their protocol would be in case Little One had a breath-holding spell in their care. I completely understand the need for procedure and liability issues on their part, but it was supposed to be a day or 2 to hear from them. They never called me back. I got the impression they just didn’t want to deal with the situation, but couldn’t turn me away to my face. I’m not going to beg them to take us either. I’m starting some online classes next week, and may or may not continue actively looking for part-time work, so now would be a great time to have Little One spend a few hours a week playing with other kids and learning how to “go to school” for when that time comes. Do I gamble on a place that has no experience with breath-holding? There’s also a chance that she won’t even have a breath-holding spell in their care, but I’d like to at least have a little confidence that the provider is familiar with it on some level. My next step is to call the doctor and ask if they can somehow recommend a childcare provider with breath-holding experience, but I’m not sure if they will even know that information. Wish me luck. Do you ever get frustrated when experts seem to lack knowledge that others tell you is “common”? UPDATE: 8/31/15 Today we toured a facility that was welcoming and warm. The teachers did not look at me like I had two heads as I explained breath-holding to them. I’m happy/anxious to report Little One will be doing a half-day trial later this week! Just wanted to do a quick post on our experience last week. On Friday I took Little One to her 2nd structured play group. This week was much more successful! Instead of trying to get back out the door when we first got there, she was trying to open the door to go IN. She also felt more comfortable trying a few new activities: trampoline and swing. I figured she would enjoy going after the first session was out of the way, but I was really happy to see her trying new things. We still need to work on sitting still for song/circle time, but hopefully that will happen soon. 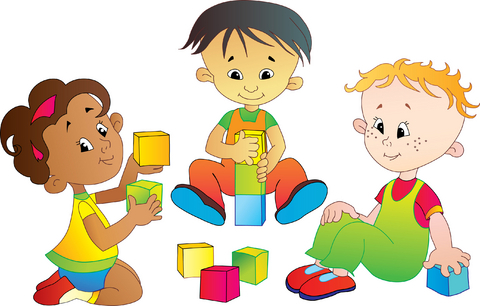 Do you partake in any play groups with your kids? Last week I took Little One to her first structured peer play group. She’s 21 months old and hasn’t been around many other kids due to my being a stay-at-home mom. We mostly hang out at home or with friends who either don’t have kids yet, or have kids who are older. Her issues with breath-holding have also made me cautious about leaving her with many people, other than immediate family. As an adult, I sometimes have a difficult time meeting new people, but I’m aware of this, and I don’t want to pass social awkwardness along to my daughter. She’s naturally outgoing and funny, so I hope she continues to develop her own little personality. Hubby and I want Little One to be socialized before it’s time for her to head off to pre-school. This local, structured, peer group felt like the perfect opportunity for her to meet other kids in a safe and controlled environment. The other kids in the group have all been involved in prior group sessions, so they know all the steps and songs. Hopefully, after another week or two, Little One will be well adjusted and more comfortable following the group routine and taking instruction from the group facilitators. If you’re a parent, did/do you partake in peer play groups? Do you feel it’s beneficial? Hello, time to share the latest 2 dresses I made the other day. 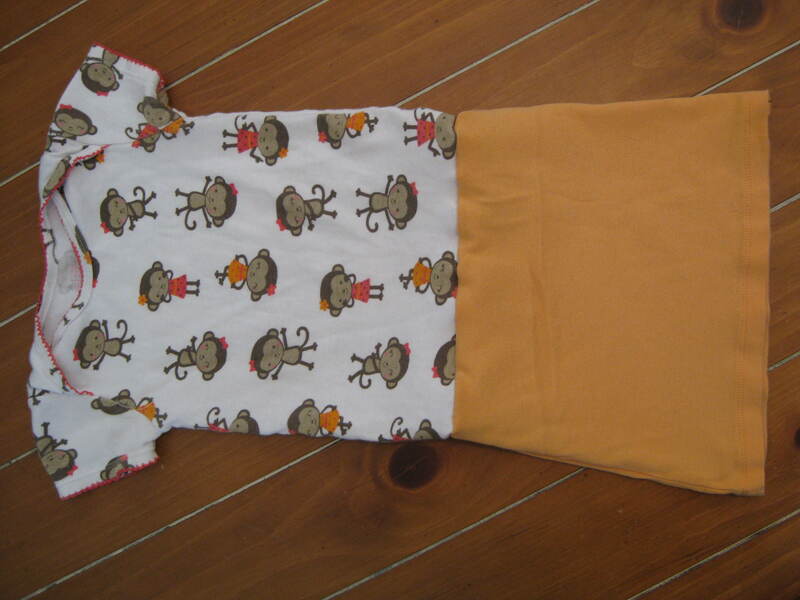 I added the bottom of an old orange t-shirt to the monkey onesie for the first dress. For the second look, I added the striped portion of a shirt I bought from eBay that had a hole in the sleeve. That one is a little long, I may leave it as a toddler “maxi” dress, or I may get brave and hem it! Has the creative, re-purposing bug bitten you yet? Thanks to Pinterest, and my new sewing machine, I’ve had tons of ideas for DIY projects lately. Today’s post is about utilizing an old “onesie” that’s too small/short, but still fits the arm/chest area, for the top portion of the dress. 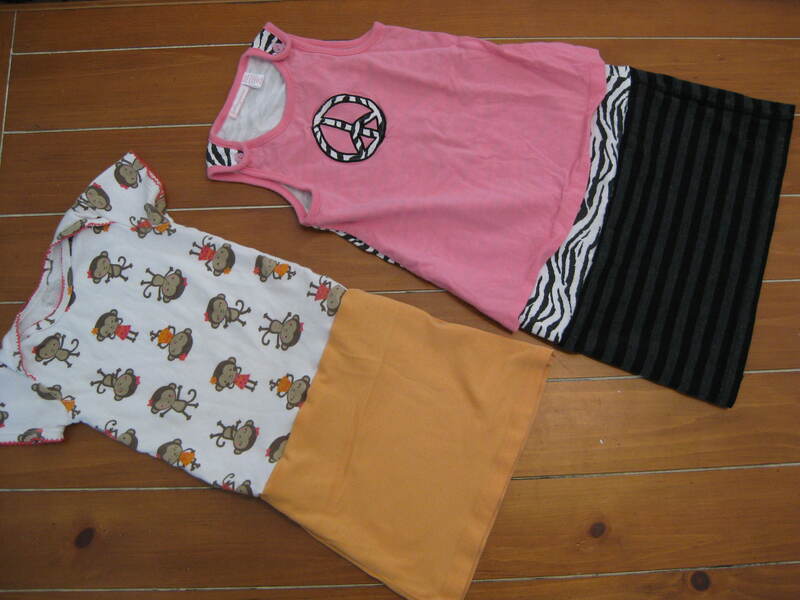 An old women’s t-shirt is used as the bottom of the dress. 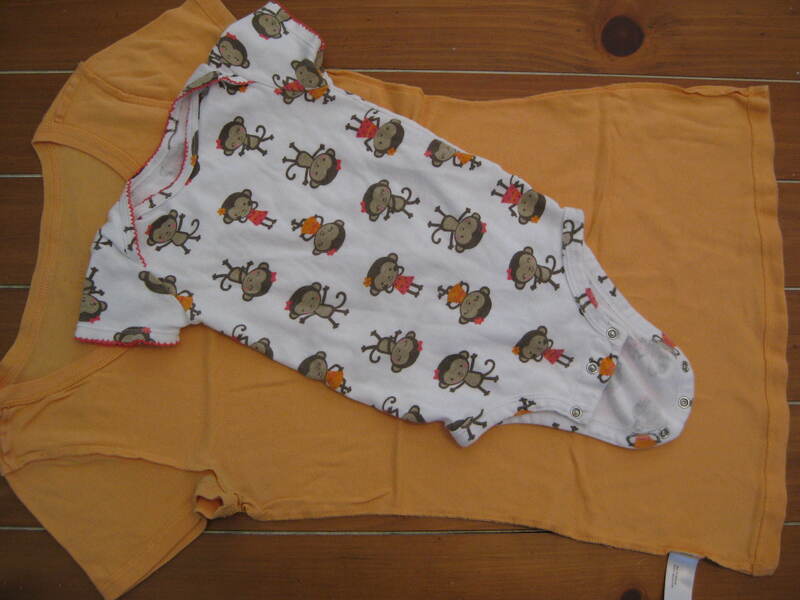 Simply cut the bottom portion of the onesie off, just above the leg holes. 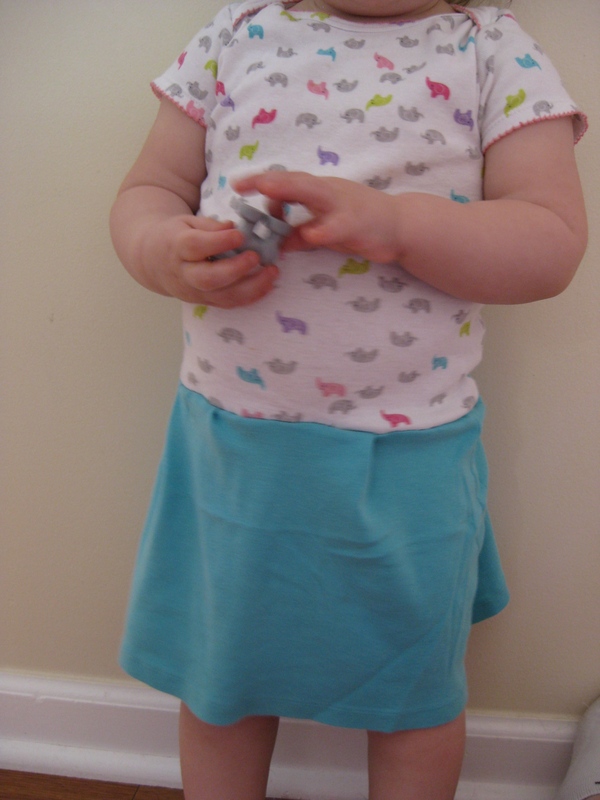 Then cut the bottom half of the t-shirt, depending on the desired length of your dress. (This is where a before picture would be handy, sorry!) 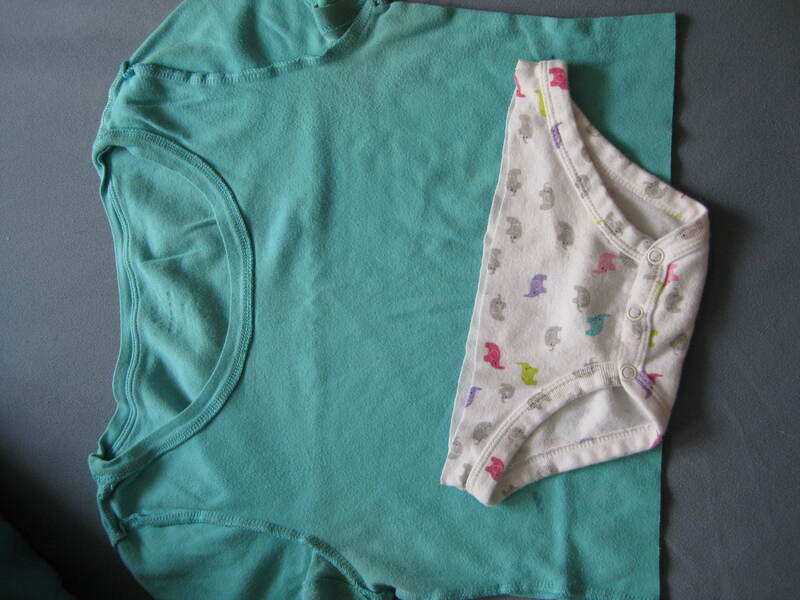 With the onesie right side out, and the t-shirt upside down and inside out, match up the cut ends and pin. 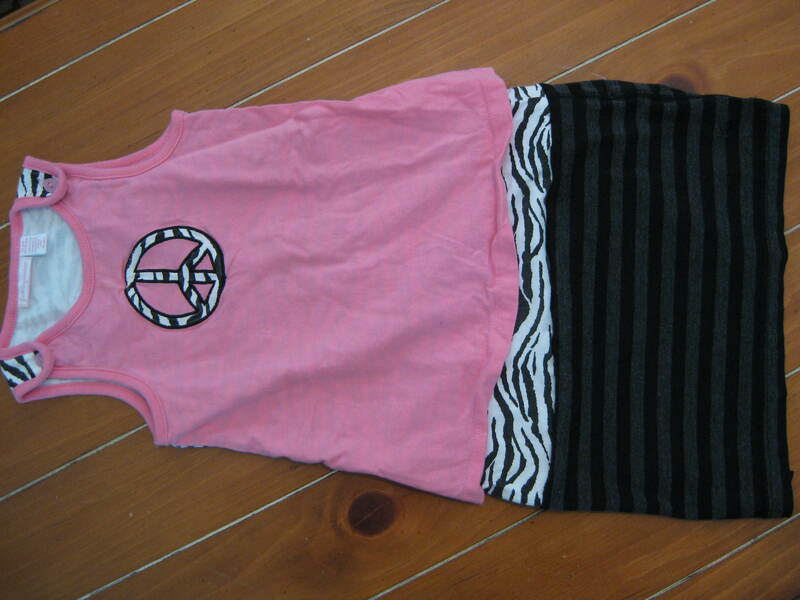 Sew the pieces together, removing pins as you go, then flip down the t-shirt part of the dress. Done! 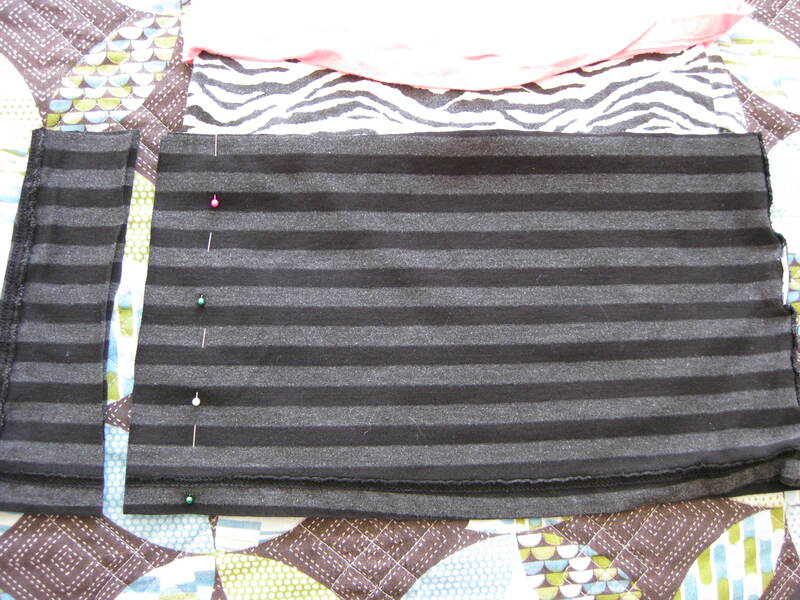 Since I neglected to take a picture of the “dress” while it was in two pieces, the below photo shows the unused parts. The best part about using a t-shirt for the bottom of the dress is that it’s already hemmed! I plan to make more of these little creations, practicing as I go, so I will post better tutorials with more photos soon. 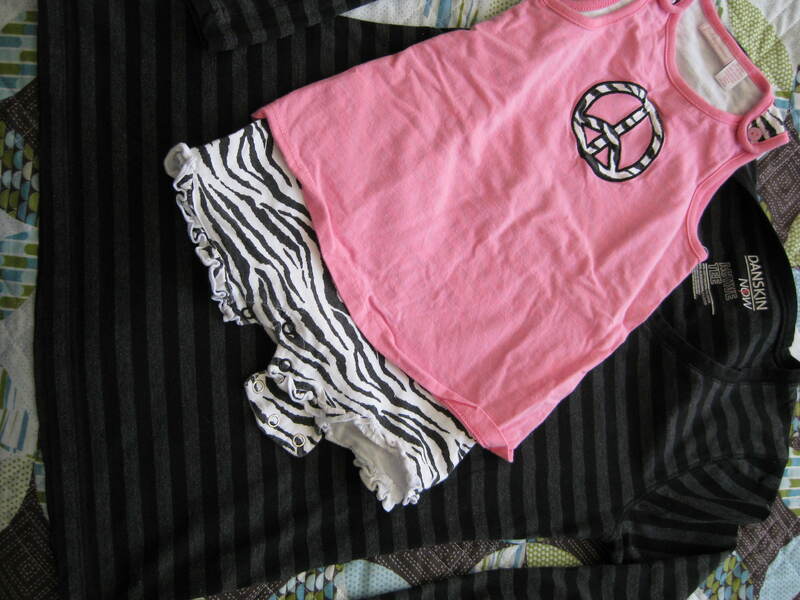 Do you “up-cycle” or repurpose your old clothing? Unfortunately, using Iron has done nothing to improve our little one’s breath-holding spells. We’ve consulted with the pediatrician and decided to stop the supplements. Our next course of action will be a referral to a pediatric cardiologist. The pediatrician believes the cardiologist will likely monitor Little One’s heart before/during an “episode” to see if there’s any correlation between the two (does the heart cause the breath-holding? does the heart change during an episode?). We won’t have any appointments for a few weeks, so once we have more information I will do another update. If nothing else, we keep holding onto the hope that she will eventually outgrow the breath-holding spells – hopefully before going to pre-school! I’d like to share what works for my toddler (20 months old) at bedtime. 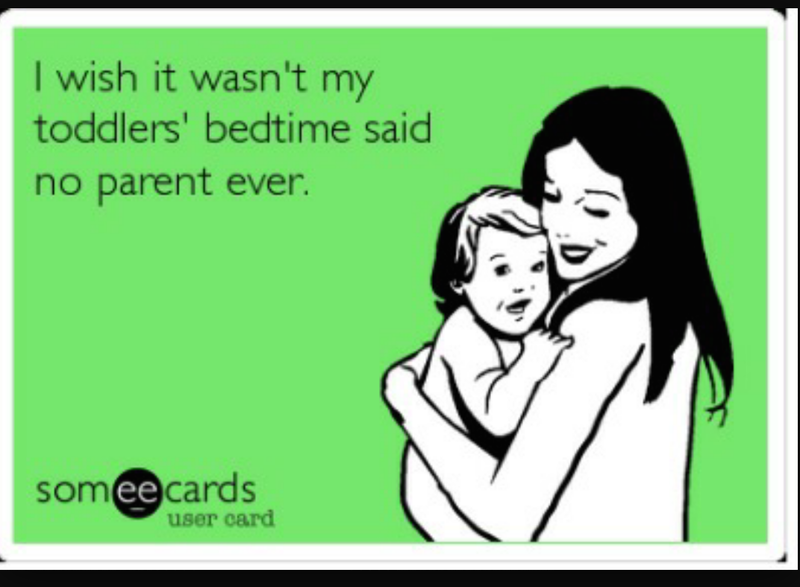 After much trial and error, I’ve learned that a routine is simply the easiest way to transition into bedtime. I use the term “routine” loosely; I don’t always put my little one to bed at exactly the same time, but the process remains consistent. 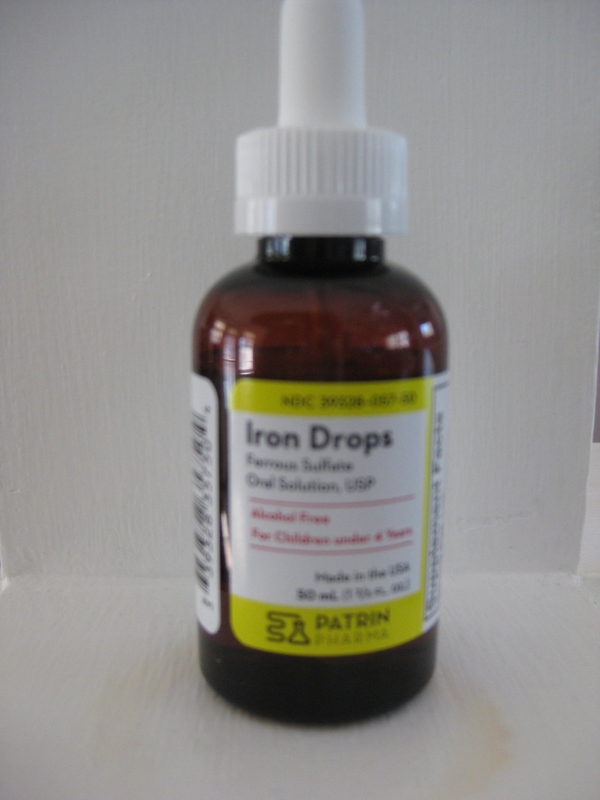 Finally, after three trips to the pharmacy, we came home today with the Iron prescription for our little one. Earlier this week the pharmacist told me they didn’t have any iron. My husband went two days later, only for them to say they were waiting on a confirmation regarding the proper dosage amount. 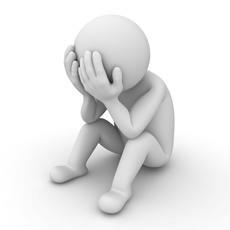 Finally, last night, I received a call saying everything was good to go! We are supposed to consult with the pediatrician again once we’ve used the iron for about a month. Please refer to my page about breath-holding spells for more information.